This is an assessment for long division with a two digit divisor. 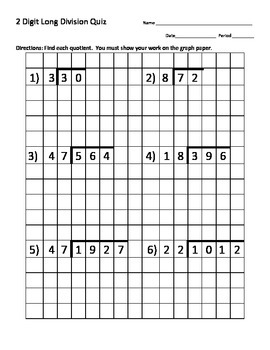 It has graph paper as part of the assessment to help students to keep their division organized. 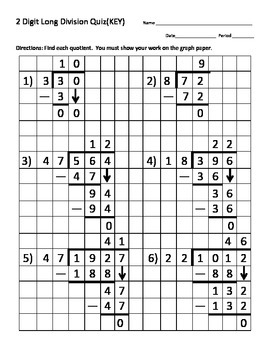 There is a full answer key that shows how students are to complete the problems.